Virgin Media has blamed criticism of its customer service firmly at the door of rival Sky. Virgin's customer service has been under strain in recent weeks as it deals with peeved customers who have lost access to Sky's standard channels such as Sky One and latest episodes of favoured TV shows such as Lost. Annoyed subscribers have been hammering the lines attempting to get discounts or, if they so desire, leave the service . A quick scan of Google's newsgroups quickly reveals customer frustration - but many of them are related to standard service issues rather than the loss of the Sky channels. Virgin also seems to have removed some methods of contact. "[I'm] trying to contact Virgin [about] poor connection speeds and the remote assistance button on the customer services help page...seems to be missing... It looks like the service has gone t*** up," says Keith. BJth says "I'm peed off with being forced to ring an 0870 number (which is chargeable to my account as a non-geographic number) when my query could easily be dealt with by email at no cost to me but all I get is a fob off." Talking to Silicom.com , Neil Berkett, chief operating officer of Virgin Media, pinned its customer service woes on its recent spat with Sky. "We are currently receiving a high number of queries, following Sky's recent decision to withdraw a small number of channels from our TV service. "We would like to sincerely apologise to anyone who has had to wait a long time to speak to us recently. We are working very hard to answer the queries as quickly as possible." Back in January, James Weekley, Virgin Media's head of internal communications admitted the company had a history of "crap service" and ''very tired people", in a speech to the Royal Society of Arts. 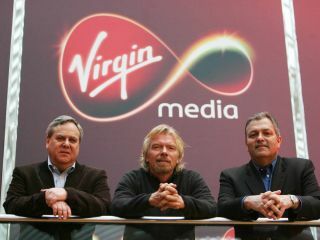 Virgin Media component part NTL has a deep history of high-profile customer service issues. "If you are an ex-NTL customer Virgin Media dont want to know you. For four days I have been trying to report a fault with my TV service," says user FatElk speaking on uk.people.silversurfers. "It does not matter which phone number I call, they cannot get anyone to speak to me that deals with ex-NTL customers but if you were with Telewest then you're OK seemingly. "I have called several times, held on the phone for very long periods to be told either to phone back later or try another number just to go through the whole procedure all over again."